No cash/check refunds or credits back to credit cards. Store Credit or Exchange Only. Original Store Receipt required on all returns, exchanges and manufacturer warranty claims. Returns must be in original unworn/unused condition, in original packaging, and accompanied by original tags within 30 days of purchase. ALL SALES FINAL on clearance and special sale items. 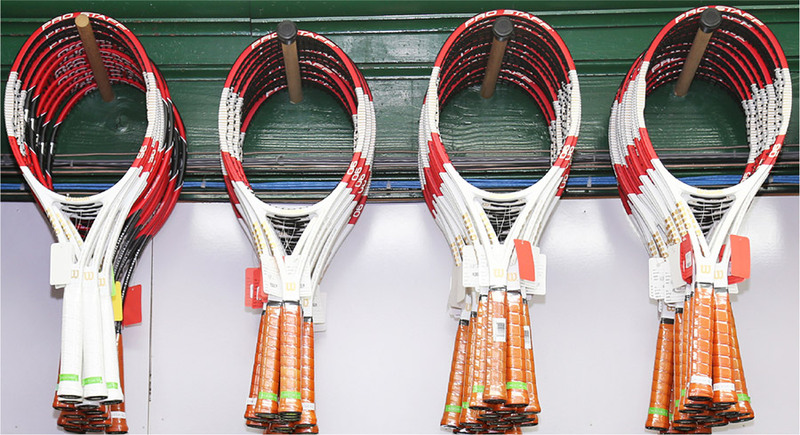 No returns/exchanges on used/worn products, including unstrung rackets that have been strung, and pre-strung rackets that have been play-tested. Worn shoes cannot be returned. Original store receipt (and service charge where applicable) required on all manufacturer warranty claims. The Racket Doctor, Inc., reserves the right to refuse service to any customer. ALL WARRANTIES MUST BE HANDLED BY THE CONSUMER DIRECTLY WITH THE MANUFACTURER.